A new Harvard report published last week in the journal Environmental Research Letters found that shifting U.S. beef production to exclusively grass-fed, pastured systems would require 30% more cattle just to keep up with current demand and production levels, and that the average methane footprint per unit of beef produced would increase by 43% due to the slower growth rates and higher methane conversion rates of grass-fed cattle. This would increase the U.S.’s total methane emissions by approximately 8%, according to the researchers. 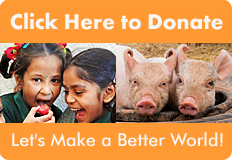 Farmed animals currently account for 37% of human-related methane production. Methane is especially significant because it is a much stronger greenhouse gas; in technical terms, it has a higher global warming potential (GWP) than other greenhouse gases. Using the commonly cited 100-year time-frame to measure the harmful impacts of GHGs, methane’s warming potential is considered to be between 20-28x stronger than carbon dioxide. But with climate scientists worldwide warning that urgent action is needed to avoid the most devastating impacts of climate change, it is more appropriate to look at methane’s impacts over a 20-year timeframe— which the Intergovernmental Panel on Climate Change (IPCC) supports. This is also important for climate goals because methane has a substantially shorter half-life than CO2, thus reducing methane emissions has a much more immediate impact on reducing global warming. Given the frequency and intensity of climate disruptions that we are now experiencing, the speed of reduction in human-caused emissions is of paramount importance. If we look at methane’s warming effects over a 20-year time-frame, its impacts jump to 84x stronger than that of CO2. 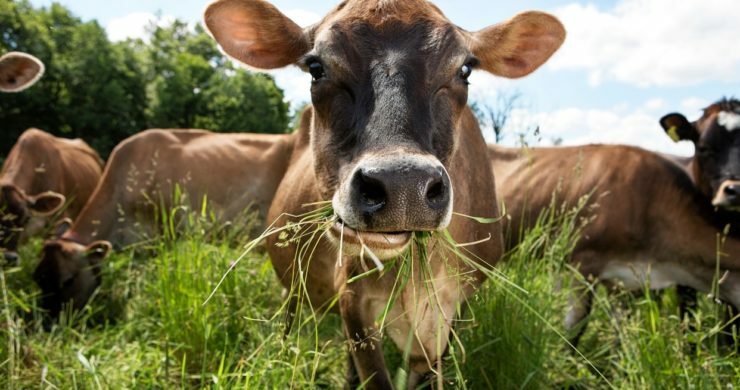 This makes the increased methane emissions of grass-fed cattle an important factor in the growing dialogue around diet and climate, especially with many sustainable food advocates urging a shift to greater production and consumption of pastured, grass-fed beef. The study notes other environmental harms that would likely result from a shift to all or mostly grass-fed beef production, including wildlife habitat loss from greater land use, fresh water eutrophication, soil erosion, the suppression of native vegetation from overgrazing, and increased nitrous oxide emissions. You can access the full study, Nationwide Shift to Grass-Fed Beef Requires Larger Cattle Population, here.